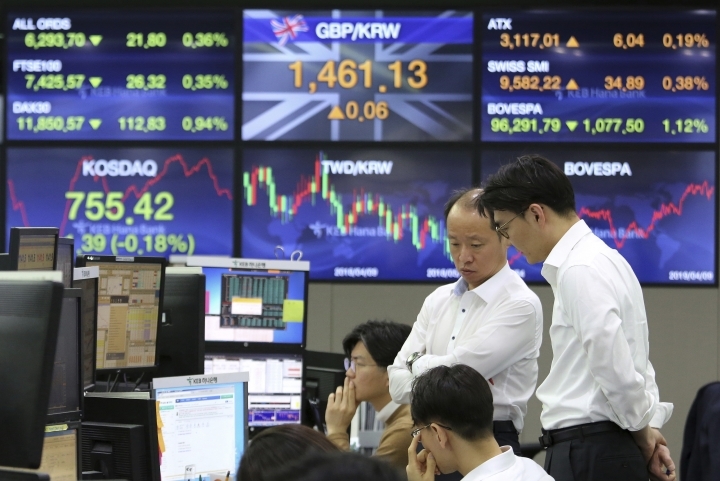 TOKYO — Stocks turned higher in European trading on Wednesday on hopes that European Union leaders could grant the United Kingdom another extension for its departure from the bloc and avoid a messy no-deal Brexit. France's CAC 40 rose 0.4% to 5,459 and Germany's DAX also gained 0.4%, to 11,903. Britain's FTSE 100 was up 0.1% at 7,434 as British Prime Minister Theresa May asks EU leaders for a second extension until June 30, to prevent Britain's scheduled departure from the EU this Friday. European Council President Donald Tusk has suggested a longer delay of up to a year. If they don't grant an extension, Britain leaves the bloc on Friday with no deal regulating the departure. A chaotic, no-deal exit would have huge costs to businesses and trade across the English Channel and complicate travel as it would likely hit airports, ports, tariff rules and standard regulations overnight. Groups representing manufacturers in the U.K. and across the continent have appealed to European leaders to avoid a no-deal Brexit. "It must be clear that neither the EU nor the U.K. are ready, and as a consequence European industry is also not adequately prepared, for this cliff edge scenario," the groups said. U.S. shares looked to open higher with Dow futures up more than 0.2% at 26,221. S&P 500 futures were also up more than 0.2% at 2,890. Investors will get more clues about the Federal Reserve's intentions Wednesday, when the central bank releases minutes from its latest policy meeting. The European Central Bank will also meet Wednesday and is not expected to change its rates, though it could hint at a slower schedule for any future rate increases. Earlier, Japan's benchmark Nikkei 225 dropped 0.5% to finish at 21,687.57. Australia's S&P/ASX 200 was little changed, inching up less than 0.1% to 6,223.50. 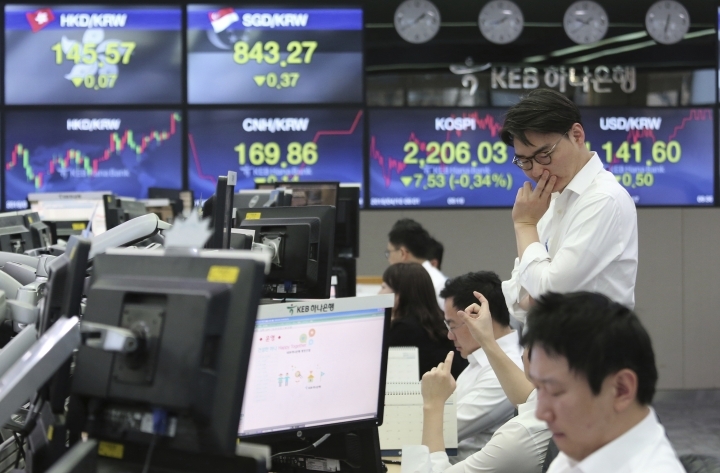 South Korea's Kospi added 0.5% to 2,224.39. 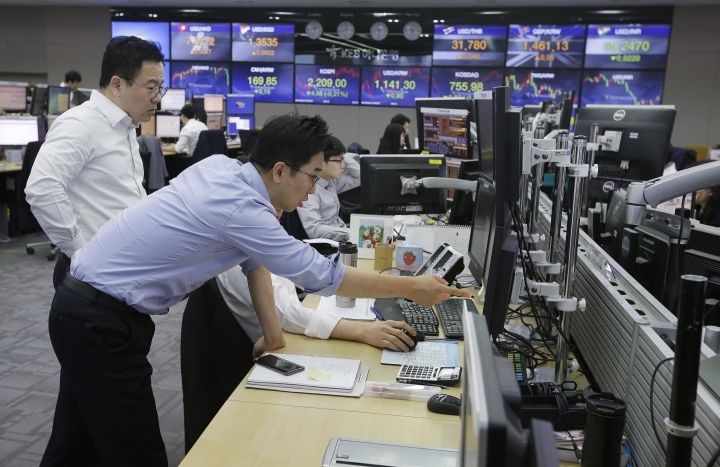 Hong Kong's Hang Seng shed 0.1% to 30,119.56, while the Shanghai Composite inched up nearly 0.1 % to 3,241.93. The threat on Tuesday from President Donald Trump to impose $11.2 billion in tariffs on European products had made investors more concerned about trade disputes hurting an already slowing global economy at a time when the U.S. is trying to resolve a trade conflict with China. That spat has already made a list of goods more expensive for consumers and is weighing on an already slowing Chinese economy. Negotiators met again last week and both sides have said they are making progress. ENERGY: Benchmark U.S. crude rose 42 cents to $64.39. It fell 0.7% to settle at $63.98 a barrel Tuesday. Brent crude added 34 cents to $70.95 a barrel. CURRENCIES: The dollar fell to 111.22 yen from 111.28 yen Tuesday. The euro held at Tuesday's close of $1.1277.